You only have to open your Twitter feed or scan the latest headlines to know that it’s a perilous online climate for brands. A volatile news cycle means it’s increasingly hard for marketers to find brand safe inventory to carry their ads. Even premium publishers are running news content that some audiences may find controversial with increasing public pressure on brands to display social responsibility. For publishers who traffic in newsworthy, attention-grabbing, informative content this presents a challenge and an opportunity. Every brand has different sensitivities, and content that could be anathema to one might be pure gold to another. However, in this complex climate, publishers need to carefully consider how to grow their revenue and maximize the value of their inventory while delivering the news their readers expect along with the brand safety marketers need. New research points to a solution. A new study from Integral Ad Science and a major media publisher found that IAS publisher data could be used to manually optimize placements to target inventory that met advertisers’ strict brand safety standards. This tactic allowed the publisher to secure inventory suitable to a major technology advertiser and unlock the value of its young tech-savvy audience. To make the process scalable to other advertising partners the publisher used IAS’ publisher optimization tools to target desirable inventory without increasing the size or workload of its publisher-optimization team. Automating delivery and prioritizing serving ads adjacent to content that matched the advertiser’s specific brand safety needs resulted ina dramatic decrease in wasted impressions. Previously nearly 7% of all campaign impressions had been deemed too risky for this specific brand. After implementing and inventory optimization strategy guided by IAS verification data, that result fell to just 0.2% of all campaign impressions, allowing the publisher to recover substantial revenue, meet advertiser expectations more efficiently, and increase the total value of its premium inventory. Although brand safety is an industry-wide problem, it has fallen heavily on the shoulders of publishers alone to solve. Increased attention to the issue, driven by the tumultuous news cycle and a tense political climate, comes at a time when many publishers are seeing their revenue squeezed in other ways, leaving little margin for error. With the duopoly consuming an ever-larger share of total digital advertising dollars, it’s become critical for publishers to maximize the value of their inventory to ensure a healthy bottom line. More importantly, the long-term health of a media publishing business depends on securing the trust of major advertising partners and meeting their inventory quality needs consistently and efficiently. For some publishers, meeting the challenges of brand safety has meant sanitizing content or allowing advertiser demand to override editorial judgment. This remediation has created unnecessary tension between sales and editorial teams forcing publishers to choose between quality and revenue. Optimization tools can help publishers to better understand their own inventory by mapping impression delivery to ensure that unique advertiser needs are met without compromising content quality. For publishers to succeed, a resolution that benefits both advertisers and the end consumers is key. For publishers, programmatic offers the opportunity to monetize and package inventory more efficiently than traditional direct deals. For some, it is a place to more effectively sell run of site (ROS) inventory. Others place blocks of premium inventory up for auction to generate revenue without the time, expense, and overhead of negotiating a direct sale. However, while programmatic has opened the door to greater efficiency and a new stream of incremental revenue, it’s also created challenges for premium publishers who want to protect user experience and exercise some control over the type of creative that appears on their pages. For a growing number of publishers, this means turning to private marketplaces (PMPs). PMPs offer the efficiency of programmatic exchanges in a more controlled environment for premium advertisers. In this post, we’ll attempt to offer some tips to help publishers take advantage of what PMPs have to offer. But first, just what is a private marketplace and how is it different from an open exchange? Private Marketplaces are exclusive inventory packages offered to buyers via a deal ID. This Deal ID acts as a key to a private auction, or automated access to an inventory pool with pre-negotiated terms. PMPs make it easier for publishers, sell-side platforms (SSPs), and networks to set aside specific inventory packages and sell them to a pre-defined group of buyers. For advertisers, PMPs offer access to premium inventory in a closed environment before it’s made available to the open market. Through a PMP, publishers can work more directly with advertisers without sacrificing the efficiency of programmatic automation. They also offer publishers the opportunity to build tailored packages of premium inventory and bundled custom audiences, which can fetch a higher price from advertisers than the same inventory might elicit on an open exchange. Most importantly in the age of ad blocking, PMPs give publishers a chance to offer their inventory to a vetted selection of premium advertisers. This ensures that quality content is matched with quality ad creative that won’t compromise user experience. A PMP can be built and curated by a single publisher, or parent company of premium publishers, and can offer different deal types including first-look offerings or pre-negotiated rates. Supply-side platforms (SSPs), on the other hand, provide premium publishers with lower scale for video with an opportunity to monetize their inventory at a higher CPM by grouping it with like properties. Often how the deals are packaged and the specific inventory they contain can impact publishers’ bottom line. Below are some best practices for maximizing the value of your PMP. A growing number of buyers are turning to PMPs to meet stringent viewability requirements. Major media-buying powerhouse Group M has gone so far as to release its own custom viewability standards, which are more rigorous than those of the MRC. Inventory that meets these more rigorous standards is the gateway to securing advertising dollars from premium brands like Unilever and Volvo. Optimizing your inventory to meet those viewability demands and building PMP packages around viewability thresholds is a great way to maximize incremental revenue and ensure that you’re able to charge buyers for the true value of your inventory. A tumultuous news cycle, the rise of fake news, and the proliferation of unsafe content on social platforms has led to a major industry-wide focus on brand safety. 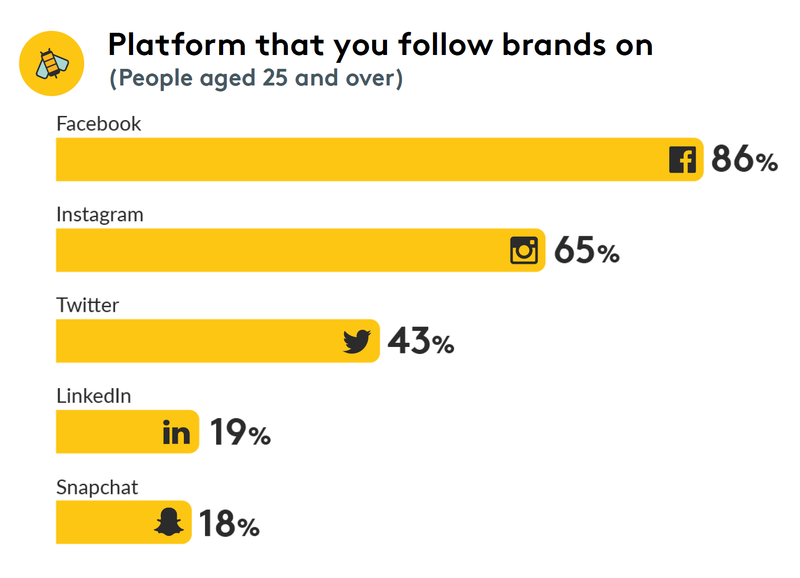 Buyers across the board have prioritized brand-safe inventory for their digital campaigns to avoid finding themselves on the wrong side of a social media mob. UM Worldwide recently appointed a global brand safety officer, elevating the challenge of finding brand safe inventory to the C-suite. However, brand safety is subjective. Different brands have different sensitivities, and different regions have different ideas of what constitutes a risky placement. Using an optimization tool to create content category packages allows publishers to capture diverse brands and global advertiser dollars with their featured content. PMPs combine the efficiency of a programmatic transaction with the intimacy and trust of a direct deal. That means the publishers who value user experience can control which advertising partners have access to their inventory. However, that communication and vetting is a two-way street. Work directly with the buyers participating in your private marketplace to identify their needs. Just because your PMP focuses on high-viewability inventory packages doesn’t mean that advertisers aren’t also looking for packages that are low in fraud. Understanding these needs and packaging your inventory toward them can provide a competitive advantage in securing additional premium brand dollars. Environment clearly matters, and brands are accountable for their choices. Nearly half of all consumers globally agree it is a brand’s own fault if its advertising appears next to hate speech. They also feel that the points of view that near a brand’s advertising and marketing messages are an indication of that brand’s values and what it stands for. Only 40% (34% in the U.S.) trust that social media platforms will address fake news and hate speech. 60% (61% in the U.S.) report that they do not trust social media platforms to behave responsibly with user data. 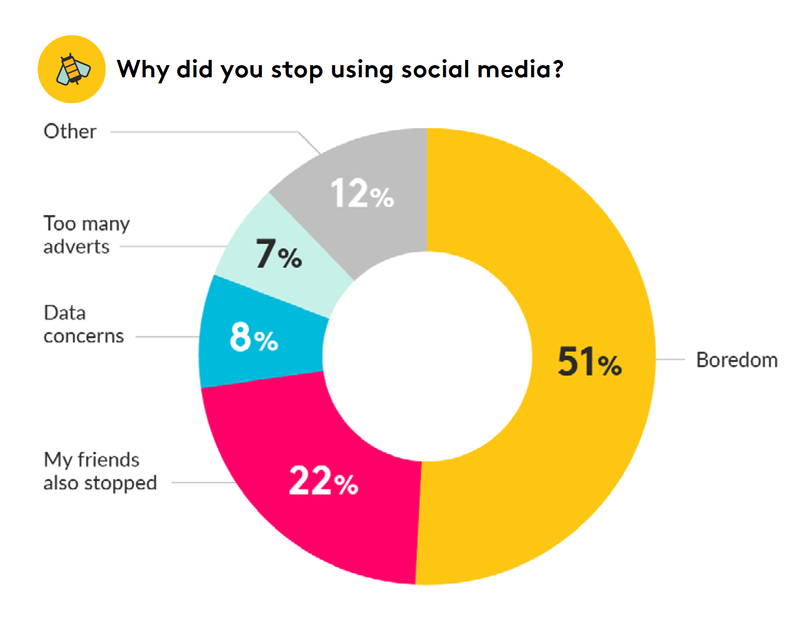 40% (38% in the U.S) say they have deleted at least one social media account in the past year because they did not trust the platform to treat personal information properly. Nearly two-thirds (62% and 48% in the U.S.) said that they want government to play a stronger role in regulating social media. Importantly, consumers want brands to apply pressure on social platforms to protect them from inappropriate use of content and misuse of personal data. Nearly seventy percent of consumrs agree that brands should pressure social media to do more about false information and fake news and protect users from offensive/harmful content and to ensure personal data is protected and used ethically. Consumers are demanding transparency and privacy protection from social platforms. However, they have little trust in them to fix these problems. And they clearly value the efforts that brands make to influence these issues. This represents an important time and opportunity for brand marketers to step in, act and enforce on behalf of the consumer. This with help rebuild trust in the media marketplace as well as in the brands that do so. The NewFronts are far from new. And old-line publishers are making more noise this year, even as the event is shortened to one week from two, with another week coming in the fall in Los Angeles. This week, the discussion between publishers and advertisers around online video had the usual buzzwords and focus on youth, mobile, and fun. However, challenges remain relating to brand safety, metrics, and building awareness of publishers’ digital video offerings. As digital video ad revenue in the U.S. continues to grow — predicted to hit $15.42 billion this year and reach $22.18 billion in 2021 — according to eMarketer, more publishers and tech platforms will battle it out for those ad dollars even as popular video destinations like Netflix and HBO lack ads. And with so many publishers and platforms working together, it’s become more of a “coopetition” among them at the NewFronts. Here’s a roundup of some of the key NewFronts trends to watch. Last year’s NewFronts said it all: Whether this dog-and-pony show is worth it highly depends on how much money you have, and what you have to offer. Similar to last year, for most publishers, what they want to offer — and therefore what is at the forefront of their minds — is brand safety. As YouTube continues to battle crisis after crisis on its platform, brands are under pressure to make sure their content doesn’t appear next to extremist or racist propaganda. Other platforms hardly match YouTube’s scale, making it hard for advertisers to boycott YouTube for any length of time. Whereas some companies might feel anxiety, others see opportunity. Take NBCUniversal. The company isn’t hosting a NewFront presentation but is still pitching a new way of buying short-form video — NBCU Choice — that it’s guaranteeing to be brand safe and effective at hyper-targeting. And Digiday reports that half of that inventory is on YouTube. For YouTube itself, the tech giant has revealed a slew of changes to bolster its services. In yet another effort to quell brand safety fears, Google has announced it will improve the quality of ad-supported content on Google Preferred, YouTube’s program to allow advertisers to place their advertising on the most popular 5% of YouTube channels. The tech giant will now add inventory from YouTube TV — its streaming service that packages popular TV channels — to Google Preferred. Noting that audiences are also watching YouTube on TV screens more — 150 million hours a day, by its accounts — Google has also announced advertisers can buy YouTube video ads meant to only stream on TV screens through AdWords and DoubleClick Bid Manager. These changes may not be enough to make publishers forget how precarious their content is online — but it’s certainly enough to keep publishers and advertisers hooked on Google. The convergence of video and TV means that brands this year are also paying more attention to metrics. Nothing comparable to Nielsen ratings has yet to exist for digital. As such, publishers that define success with their own metrics can lead to the kind of inflation and misinformation that has gotten some of them in trouble in the first place. “With regard to the NewFront, one of the things that has come up historically has been almost an abstract discussion of data,” Zenith Media digital investment EVP Will Warren told BeetTV. Beyond the typical vanity metrics, Meredith exec Andrew Snyder mentioned how important measuring impact is for the publisher, which swallowed up Time Inc. recently. But what really puts some traditional broadcast and print publishers behind the eight ball is the fact that audiences don’t think about them as purveyors of original online video content. According to the 2018 Digital Content NewFronts Sentiment Forecast, commissioned by Matrix Solutions, consumer interest in original content from big media names like ESPN and the New York Times is pretty abysmal. While Americans who watched online content were excited about YouTube (57%) and Hulu (32%), only 16% were excited about ESPN, 10% about New York Times, and 2% about Conde Nast. That problem around awareness might explain why some larger media brands like ESPN and Viacom presented for the first time at the NewFronts this week. Both companies are pushing very big digital initiatives. But they have a long way to go to catch up to established players. Disney had been content in the past to tout its Maker Studios at NewFronts in the past, but this year is breaking out with its Disney Digital Network, using the “brand safe” buzzword throughout its presentation. The company touted new food shows via Tastemade and a “Star Wars” fan event. Disney even had ESPN present in its own slot, pushing its new ESPN+ streaming service, as well as new original content deals with Facebook, Twitter and Snapchat. 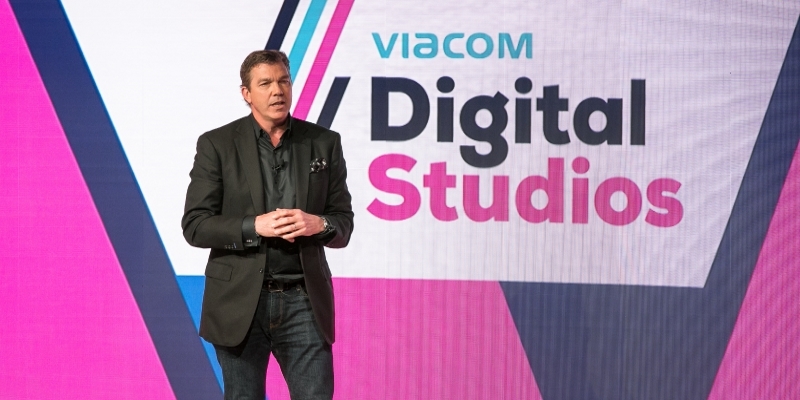 And Viacom was touting its new 300-person division, Viacom Digital Studios, with hundreds of hours of original digital-native content, along with expanded programming for Snapchat. Plus, Viacom will produce the first VidCon conference in London in February 2019. While many larger publishers have had love/hate relationships with the tech platforms, it’s interesting just how much love there has been at the NewFronts. Twitter announced even more live video programming with publisher partners, and nearly every publisher mentioning programming on tech platforms. For marketers, it’s not an either/or proposition between the platforms and publishers, but how to spread the word in brand-safe content, with measurable results to the right audience. How they get there isn’t as important as the fact that they can get there. These “other firms” include deep-pocketed companies like Microsoft, Amazon, and Verizon — all of which pose a threat to both eat into the duopoly’s market share as well as capture the lion’s share of the remaining $30 billion or so in US digital ad revenues. But this is by no means a foregone conclusion. Microsoft has been stumbling around this category for years without finding its groove; Amazon doesn’t understand the ad business; and Verizon doesn’t know how to compete in unregulated categories (yet). Among the duopoly itself, Facebook will have the Department of Justice on its back for at least a couple of years due to its complicity in the election mess, and Google is just waiting for the other shoe in the saga to be dropped on its doorstep. Meanwhile, the braintrust at Googleplex in Mountain View is focused on figuring out how to diversity revenues into non-advertising channels, with mixed results so far. For companies seeking to successfully capture or grow their share of the roughly $100 billion US digital advertising marketplace, the following tactics will help ingratiate you among digital marketers and media buyers. The path of least resistance here is joining the exchanges and allowing media buyers to access your inventory via programmatic platforms like AppNexus, MediaMath and OpenX. And this should certainly be part of a multifaceted strategy. But there’s also old-fashioned tactics like providing media buyers with case studies that resonate, transparent pricing, low minimum buys, creative support, accepting credit cards, and trafficking campaigns quickly. Without question, most advertising is done by the largest 100 or so brands, so from one vantage point, it makes the most sense to allocate inordinate resources to this area of the marketplace. But this is also a crowded and fiercely competitive part of the market. The upside of the emergence of Google and Facebook is that small and medium sized businesses now understand the power of targeted advertising as never before, and are more receptive to advertising pitches as a result. Brands still matter — arguably now more than ever. And seminal publishing brands have brand power in spades. Longevity, relationship with readers, and unique value propositions can help, over time, combat against the duopoly dominance. By contrast, problems associated with digital advertising have entered the public consciousness via Russia election meddling, with Facebook serving as the poster child. While challenges associated with ad fraud aren’t easily avoided by any organization with robust digital properties, they are certainly more manageable relative to Facebook trying to monitor billions of users or Google’s ad network, which supposedly reaches 90% of the internet. Buyers need to understand these risks, and the pros and cons of going in one direction versus another. Perhaps Google’s greatest genius —not including search marketing (which was a happy accident, like Pfizer’s *discovery* of Viagra) — has been in helping marketers reorient their fundamental value proposition in the organization. By emphasizing business-based metrics such as “conversions” and “dollar value per conversion” in their ad buying (AdWords) and measurement (Google Analytics) tools, which can be easily linked to revenues and profits, they’ve helped marketers do their jobs more easily and effectively. At the same time, Google’s tools provide marketers with myriad ways to shape performance data in order demonstrate a campaign’s effectiveness. Publishers can steal a page from this playbook by providing prospects with similar support (recognizing that some manual labor will be required in this effort) to monitor performance and ROI after the campaign has been completed (or even mid-flight). Like the Google and Facebook systems do, it’s not so much the absolute data that matters most, but their organization, meaning, and presentation. And most marketers need help separating the wheat from chaff. This kind of pre- and post-sale support will go a long way towards generating industry goodwill (unless you’re a top 100 buyer, Google and Facebook support is awful) and, of course, repeat buyers and loyal customers. While both the advertising and publishing sectors have experienced seismic changes over the past decade, we could be on the precipice of another shift, albeit a far more subtle one. The volatile political environment has created an uptick in demand for quality journalism, and venerable properties such as The New York Times are growing subscriber bases and figuring out how to make the transition to digital work. Fallout from politics has also ensured that one of the biggest players in digital advertising will have a neon bullseye on its back for the foreseeable future, at least limiting any unusually aggressive behavior. For storied media organizations looking to make a move and carve out their territory in the digital advertising ecosystem, conditions may not get better than this. 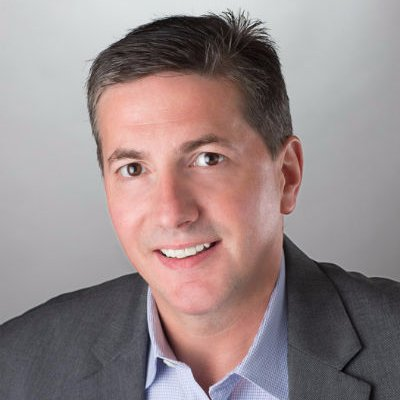 Tim Bourgeois (@ChiefDigOfficer) is a management consultant at East Coast Catalyst, a Boston-based advisory firm specializing in digital strategy assessments and media audit projects.